Discussion in 'iPhone and iPad Games' started by Running Pillow, Dec 18, 2014. 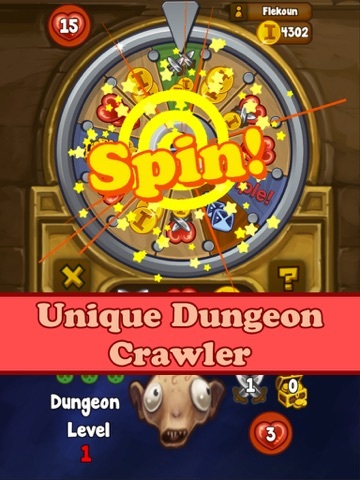 UNIQUE DUNGEON CRAWLER IN THE PALM OF YOUR HAND! 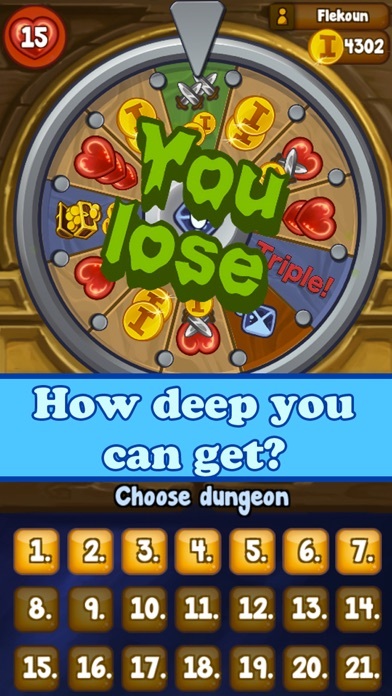 Have you ever tried to venture into the dungeon with a fortune wheel in your pocket? Now you can! 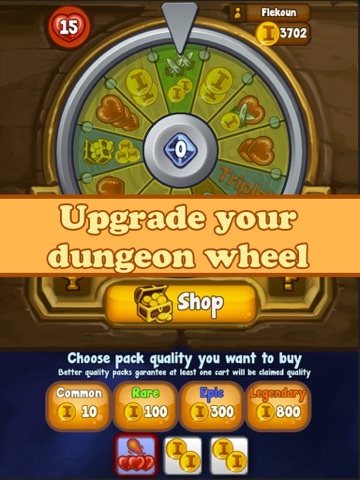 Dungeon wheel is unique twist on dungeon crawler genre. 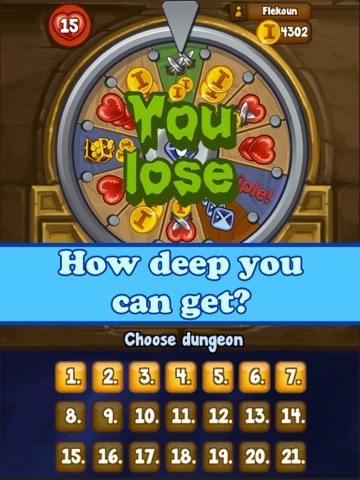 You will progress through the dungeon to buy slot packs which will enhance your dungeon wheel and make it more and more deadlier. 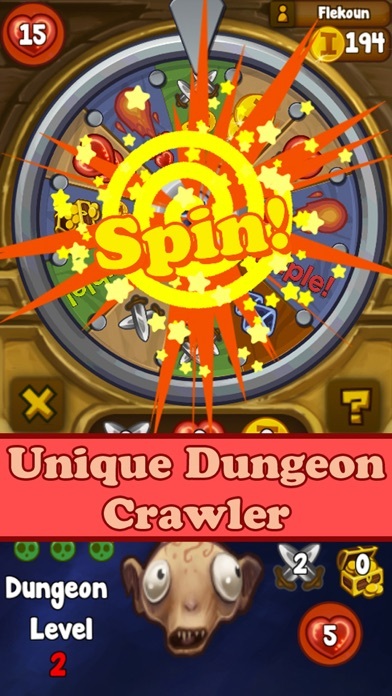 As in many RPGs you will find different quality slots from common to legendary each with unique abilities. How far you can get into the dungeon? You will have to find balance between attack/defense/money grinding and incorporate unique abilities. IMPORTANT: Network connection required to play. Internet connection for what? Leaderboard with random people you don't know? The leaderboard is maxed at 21 (maximum dungeon lvl), so why bother with that? 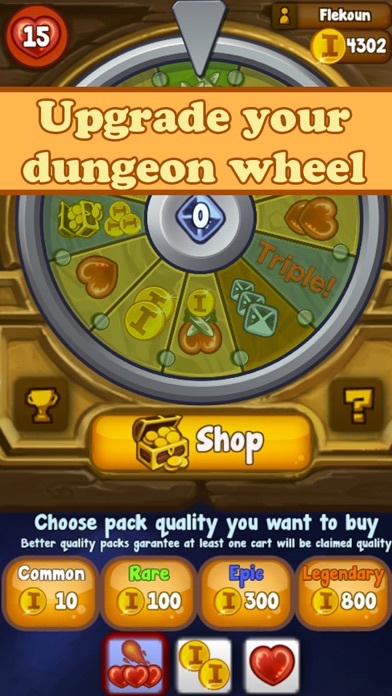 If it is because of the ads, why don't you make an IAP to remove it? I wouldn't mind to pay for a game like that, I enjoy RPG based on luck and random! This game is pretty great. They should change the icon though, maybe to something like the cool purple skull that comes up after you defeat an enemy, or the heart and sword? I do wish the dungeons were endless, just to see how far you could go.